Not much has happened in the past few months on either vacant corner of Washington Blvd and Centinela Ave. The northwest corner was used as a Christmas tree lot in December, but there has been no visible progress on the construction of new buildings. A little googling turned up some information on Test America and their System 4000 vehicle. Test America does environmental testing. 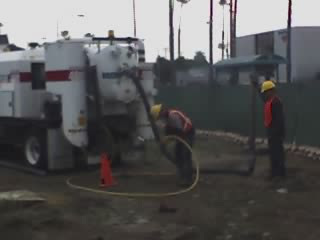 Their Vacmasters System 4000 truck is described as the world's most powerful air-vacuum excavation system. 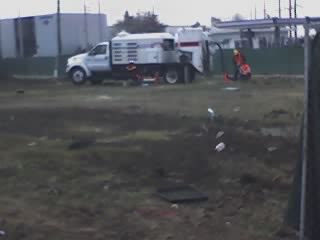 It can be used to locate underground utilities without damaging them. This all makes sense since this corner is the former site of a gas station. There is probably a lot of environmental testing that needs to happen before anything can be built and existing utility lines need to be located. I hope that this is all a sign that construction won't be too far off in the future. I am tired of looking at a dirt lot on the corner.